One of the things that makes these projects fun for me it to set up constraints for myself within which I agree to work. In this case, I set up as an Objective Function (which I tried to maximize) the number of words I was able to keep from the original song (Motorcycle Irene, by Skip Spence of Moby Grape). Here are the lyrics I ended up using, with Skip's original words highlighted in purple. By my count, fully 40% of the lyrics are intact from the original song! 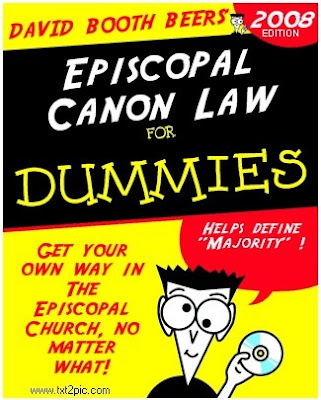 Episcopal Canon Law for Dummies! I finished the music for this video nearly a month ago, but scheduling the filming, inking the cards, and post-production hassles delayed the thing until now. And, wouldn't you know it? Things are falling apart so fast in this hellish landslide called The Episcopal church that much of the content is already outdated! No worries - another song will follow hard on its heels. The music only (mp3) can be found here. Since all the other Instruments of Unity within Anglicanism have apparently failed, I humbly offer these new products which I've just invented. Liturgi-KoolTM ... first name in really cool liturgical garments. Finally, something upon which the entire Anglican Communion can agree! The recent Attempted Deposition of Pittsburgh Bishop Robert Duncan has me too sad to comment. I thank all the faithful Anglicans who have already said the right things about what this was and what it means going forward. 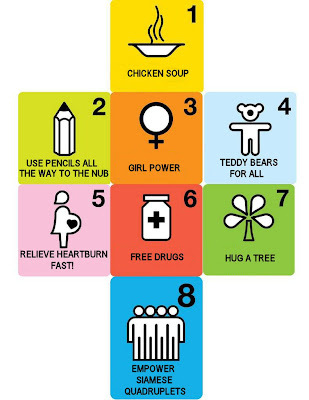 So, from me, something happier! Here is a video of the world's largest Radio-Controlled aeroplane! B-29s are lovely, aren't they? This is the day I've been waiting for! I am so buying this!! 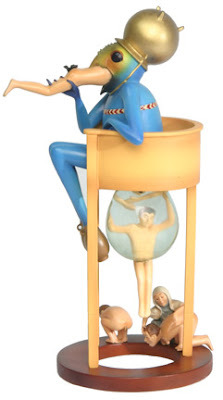 There are 3 pages of Bosch sculptures to be had, here! 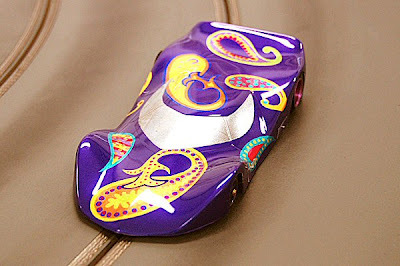 I painted this Electric Dreams Lampray body last December for the man many consider to be the Supreme Commander of all Thingie Slot Car collectors ... Switzerland's Edo Bertoglio. Here is Edo's write-up of the car, which now features a chassis built by Steve Kempson of England. This song is by my Tyler, Texas-based band, School of the Prophets, and was recorded all the way back in 1991. Does that make it Classic Rock? I never get tired of listening to Paul Dunn's wailing guitar on this track.